Sunshine Courtyard Resort is situated at small hilltop amidst the beautiful mountains of Himachal Pradesh. The nature lovers who love to experience the real-time quiet, peaceful & serene village life would treasure every moment spent at this place. Overlooking the resort at one side is picturesque green fields while on the other sides are pine groves. 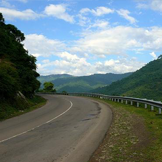 The place is situated near Shoghi (15 Kms before Shimla) in village Kot approximately 6 Kms from the NH-22. The resort is spread over 5 acres of land & is designed to give you a real time rustic experience. Wake up listening to the chirping birds around you, go for small trekking to the nearby hilltop or just watch the sky in the night lying on the rooftop beds, every moment spent here brings you closer to the nature. We have ten rooms available each one designed to give you a comfortable homely stay. Kindly refer to the picture gallery to have a view of the rooms. At our restaurant we serve you fresh, hygienic food that will surely suit your taste buds. You can choose to have food at the restaurant or simply have it on the open terrace. You can play different outdoor games like Cricket, Badminton & some indoor games like chess, carom & video games. For the booklovers we have various kinds of books to read from which if you wish to can read in your room or at the terrace lying on the rooftop beds. Sunshine Courtyard Resort is located 328Kms from Delhi through NH 1 via Panipat, Karnal, Ambala, & NH 22 from from Chandigarh via Solan, Kandaghat enroute to Shimla. While travelling by your car as you cross Kaithlighat Railway station, after approximately 3 kms of drive you will encounter an Agriculture Barrier that’s the place from where a left diversion to the downhill will take you to our resort. If you are travelling by bus get down at Shoghi& from there we will arrange for a pick up. 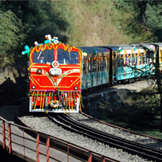 All broad gauge trains come till Kalka and from there you could travel on the famous KALKA SHIMLA RAILWAY LINE (A UNESCO WORLD HRITAGE Train) Get down at Shogi or Kaithlighat railway station from there we will arrange a pick up. The narrow gauge trains runs at slower speed & therefore the distance covered takes 1.5 hrs more than the road transport. 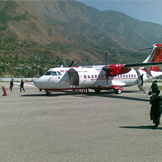 The nearest Airports are at Shimla and Chandigarh. Chandigarh is well connected with all major cities in India. While shimla airport is connected to delhi.